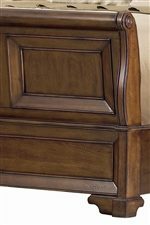 Create a home office that you can be proud of with this L-shaped computer desk and hutch. Two (2) rollout keyboard drawers keeps your keyboard, pencils, and pens out of the way when not in use, and frees up space on your desktop. 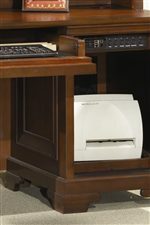 A built in USB power hub has AC, ethernet and phone connections while a power directer has plug-ins available for your computer, printer, fax machine, and other electronics. 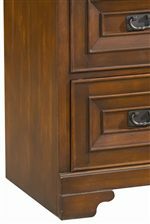 Two (2) drawers offer storage for pencils, pens, papers, and other office supplies, while a lower locking file drawer keeps your important personal documents neat and organized. A unique computer tower and printer storage area is found behind a facade of drawers on the right side, to give you plenty of space to store your CPU tower and printer. 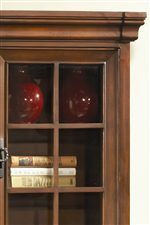 Six (6) shelves behind two (2) window pane glass doors and one (1) open shelf with lighting provide beautiful display opportunities for collectibles, art pieces, and other personal items. 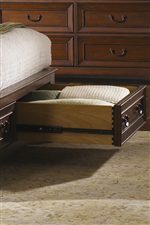 One (1) center drawer is perfect for storing pens, pencils, paper, and other office supplies. 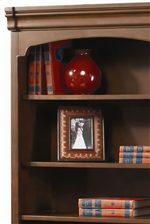 This L-shaped desk and hutch combination offers great storage capabilities and beautiful style in one complete package. One kneehole area is 25" wide by 25" high by 29" deep. The other kneehole area is 27" wide by 25" high by 23" deep. The tower area is 14" wide by 18" high by 16" deep. 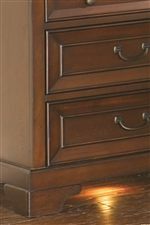 The Richmond L-Shaped Computer Desk and Return With Hutch by Aspenhome from Bullard Furniture. We proudly serve the Fayetteville, NC area. Product availability may vary. Contact us for the most current availability on this product. I40-307 66" Computer Desk 1 66" 32" 31"
I40-308 48 Inch Return Desk For Computer Desk 1 50" 26" 31"
I40-317-4 66" Credenza Hutch 1 68" 14" 49"